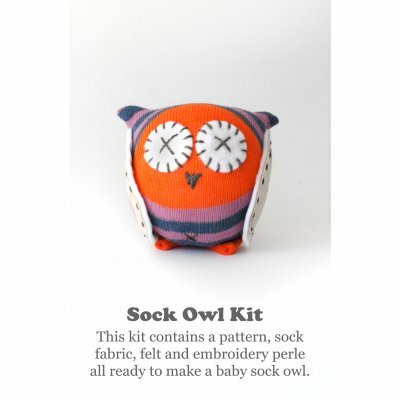 This beautiful kit contains everything you need to make one baby size sock owl! 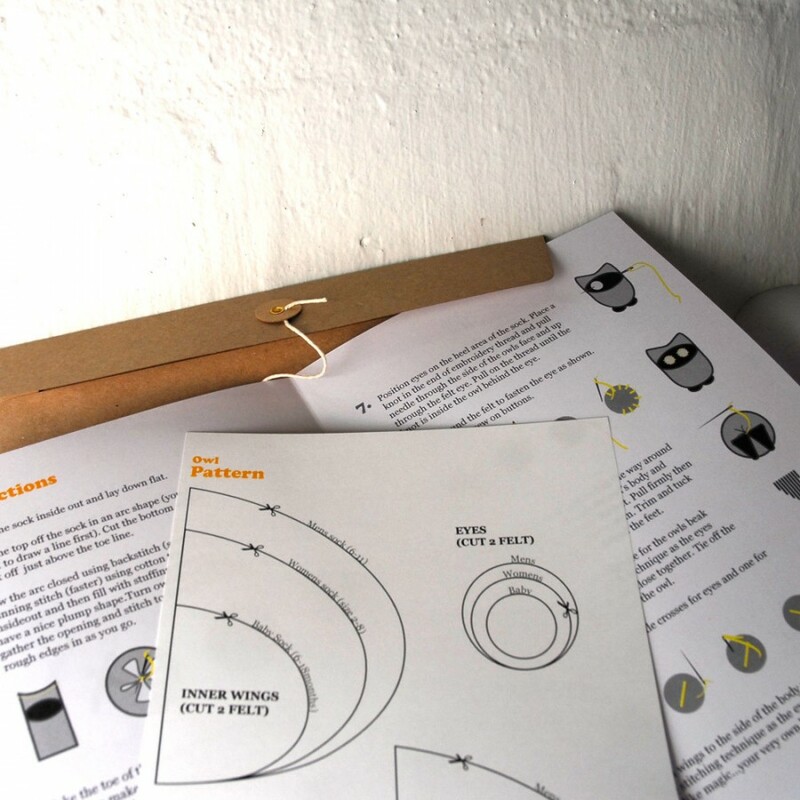 A great gift or project for kids from 8 to 108. Contents include: Pattern, cotton sock, wing fabric, wool blend felt and matching perle embroidery thread. All you need is some stuffing, scissors and needle and thread. 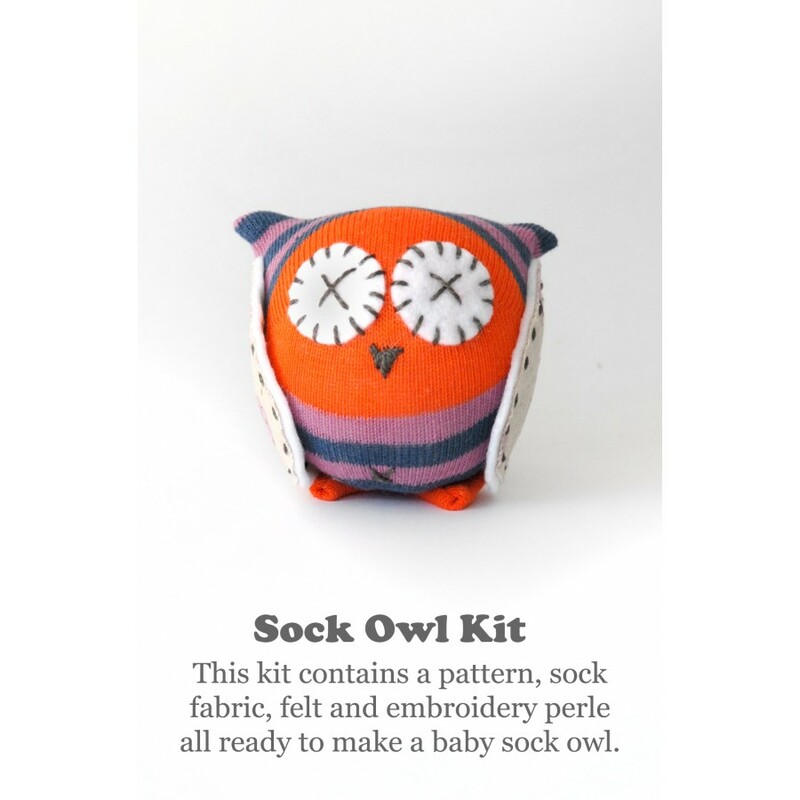 The step-by-step pattern is very easy to follow for beginners and experienced crafters alike and covers instructions/pattern pieces for any size sock... use it to make a whole family of owls if you like. Sock toys can be hand or machine stitched. The finished items are soft, cuddly and baby friendly (no small parts or choking hazards). Colour Purple & blue stripe with orange face and feet and pink moon faces.